A warm welcome to Sunnanö Camping in Öregrund. The campsite is beautifully situated a stone’s throw from Sunnanöviken, which leads directly out into the shipping channel and the Åland Sea. We offer a range of accommodation with pitches for caravans/cars and tents, and 14 cabins. Approx 70 of our 93 pitches are for seasonal guests; the rest are open to short-term guests. The exact number can vary depending on the size of the caravans and cars. 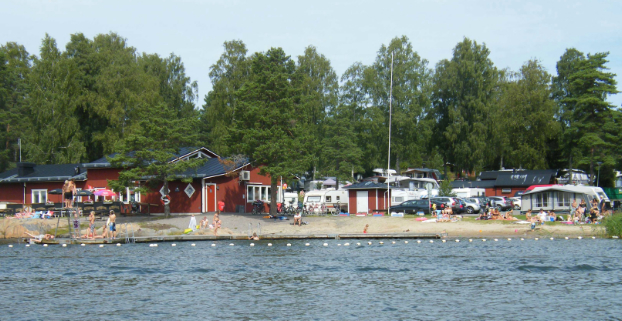 We have mini-golf, boat hire and swimming, and everything that Öregrund has to offer within walking distance.